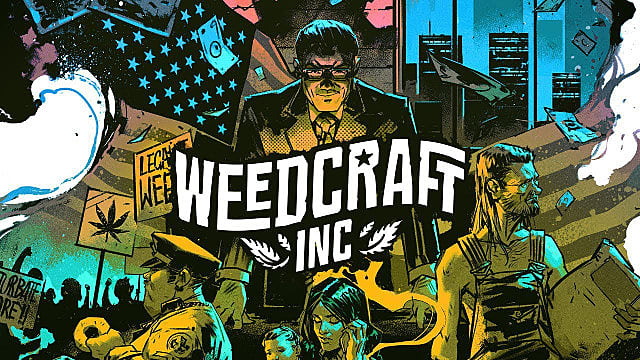 Getting High With Weedcraft Inc | WeedCraft Inc. In a world where several states have legalized marijuana, and many others are on the verge of doing so, some people may be curious about what happens behind-the-scenes in the industry of cannabis production and distribution. This is where Weedcraft Inc steps in. Weedcraft Inc is a tycoon-style game developed by Polish studio Vile Monarch and published by Devolver Digital. In this title, you create your own weed empire, starting from your basement and growing over time. 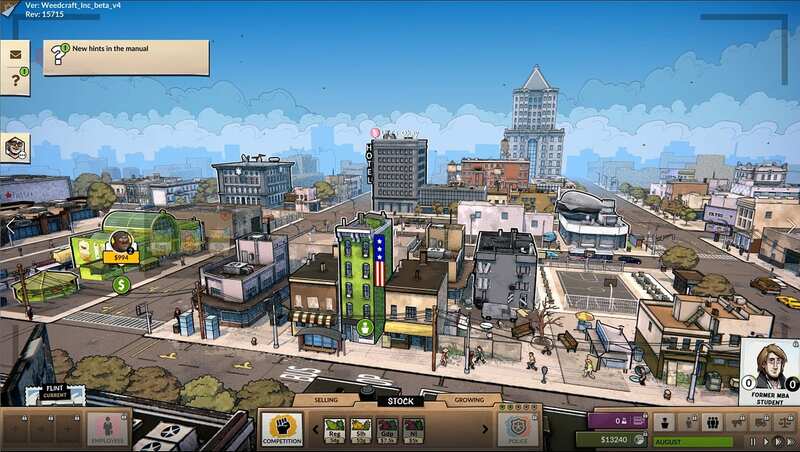 While you might be thinking that Weedcraft Inc is just another point and click game that will get boring after a little while, that is not the case. This tycoon game is a totally different experience. In preface of the title's release, I sat down with Lead Writer Scott Alexander to play some Weedcraft Inc and learn more about the story behind the game itself. Weedcraft Inc. features a 25-30 hour story centered around two brothers, one who has an MBA degree and the other who grows and smokes weed in the basement. Their ill father is depending on medical marijuana to help with his cancer treatment, and the two brothers decide to partner up and sell weed to help. Together, you start small, selling your weed in Flint, Michigan. However, over the course of the game, you can expand and ultimately become the biggest weed dealer in all of New York City. Additionally, one aspect of the game that I was really interested in was the ability to go to certain states, like New Jersey, to advocate for the legalization of marijuana. While I didn't get to demo that part of the game, I am eager to check it out once the full game releases in April. The gameplay is as you would expect from a tycoon game. You click to plant, water, and trim your crops, and you must maintain your planting location by making sure that grow lights are working. Once a plant is ready, you click to cut it. From there, you can sell your harvest at a marketplace. A lot of different characters will show up at the marketplace, and they are willing to buy your goods. As is common in most tycoon games, Weedcraft Inc allows you to speed up time. I did use this feature in my time with the game, but I was still required to continually check on my plants, ensuring that they were all sufficiently watered. As you progress in the game, you can hire employees to take care of the growing and selling for you. You can even hire characters that will dig up dirt on your competition, assisting you in running these adversaries out of town. Furthermore, each employee has different perks, and you will need to give them tasks based on their strengths. While you begin Weedcraft Inc with only one type of seed, you will also get new types as time goes on. With these seeds, you can alter the chemical balance to make your harvest stronger, but it may take you a few tries to find the perfect formula. This task becomes easier once you are able to open a lab, as you will be able to spend research points in order to discover these potent combinations. You will also be able to unlock traits on the Project Tree, which will improve your cultivating, selling, and growing abilities. As your weed empire grows, problems will arise. For example, you will be introduced to competition several times, and you will have to decide how you want to respond. Perhaps you will choose to take them down by lowering your prices or blackmailing them, or you may decide to just let them be — a decision that could mean the end of your business. Another problem that will arise is the police. As you grow weed in your basement, the police will sense heat coming from your building, and they will begin to suspect your activities. This will force you to change up how you grow your weed, requiring you to install fans or change lightbulbs so the temperature goes down. Alternatively, you can also make a generous donation to the Retired Police Officers Fund to get them off your back. Alexander told me this isn't really a bribe, but just a really nice gesture (wink). One part of Weedcraft Inc that really interests me is its shady/decent mechanic. 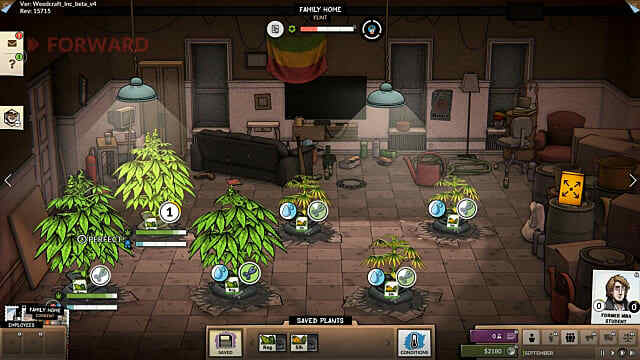 While growing your weed empire, you can dictate how you want to handle certain situations. You can either be shady about it, or you can be decent about it, and you will receive different rewards based on your decisions. This system ties into how you can introduce legislation in the game. Perhaps you choose the shady route and fight for states to keep marijuana illegal, thus making your stock more desirable. Or you can be decent and lobby for legalization so that you can bring your business to states like New Jersey. 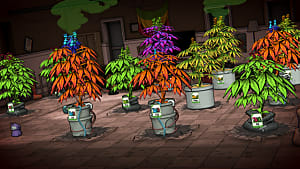 There are also other choices to make in Weedcraft Inc. Maybe you decide to setup your business in a state that allows medical marijuana, reducing your competition but requiring that you pay more taxes on your stock. Or you can go to a state that allows recreational marijuana, where you will have more customers, and can make more money, but you will have more competition as well. There are a lot of different scenarios that can happen in Weedcraft Inc, and you have control over many of them. When I first sat down to play Weedcraft Inc, I figured it would be a regular tycoon game that doesn't have much depth to it. Boy, was I wrong. This is a game that is simple to understand at first, but, as you play, it gets so much deeper and features gameplay that is distinct from other titles in the genre. The amount of gameplay aspects that you can customize, and the ability to create your own path to greatness, is amazing, and it will definitely have you playing for hours on end without even looking at a clock. 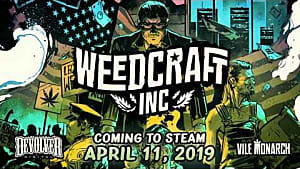 As mentioned, Weedcraft Inc. features a 25-30 hour story, and there will also be two expansion packs coming out this year. It is currently scheduled to be released in early April, and maybe Alexander will take my suggestion and release the title on 4/20. WeedCraft Inc will release on PC and Mac. When asked about a Switch release, Alexander said that he could see the game on mobile platforms, due to its simple controls, but there is no concrete information on that at this time. 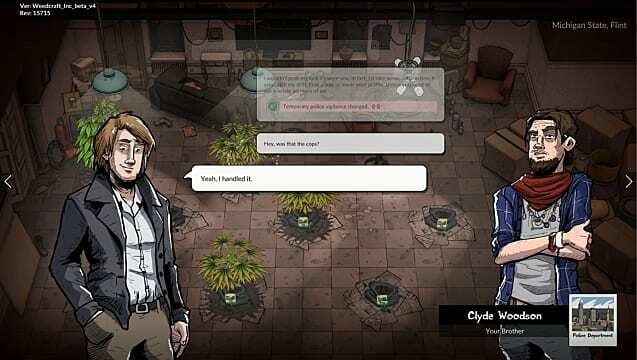 Thank you to Scott Alexander and Devolver Digital for allowing me to check out Weedcraft Inc.